Former ISU geosciences graduate student, Chris Tennant (PhD, 2018), has received an Editor's Choice Award by the journal of Water Resources Research. Tennant, formerly funded under a NSF EPSCoR Track-1 award Water Resources in a Changing Climate and a Track-2 award for the Western Consortium of Idaho, Nevada, and New Mexico is being recognized for his research paper that uses data collected by lidar imaging to better measure snowpacks in Western U.S. mountains. 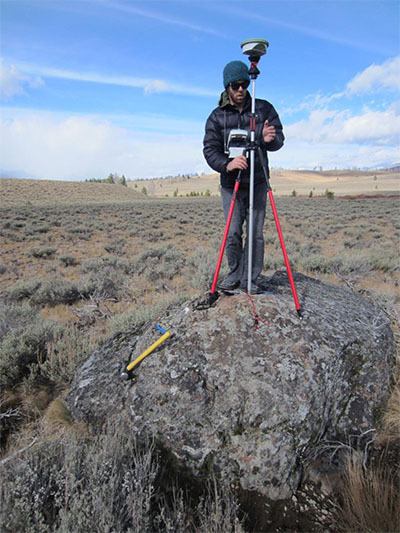 Colden Baxter, Idaho State University biological sciences professor, is the recipient of the 2018 Jean'ne M. Shreeve NSF EPSCoR Research Excellence Award. 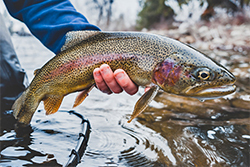 The award was announced at the 2018 Idaho EPSCoR Annual Meeting in Sun Valley. 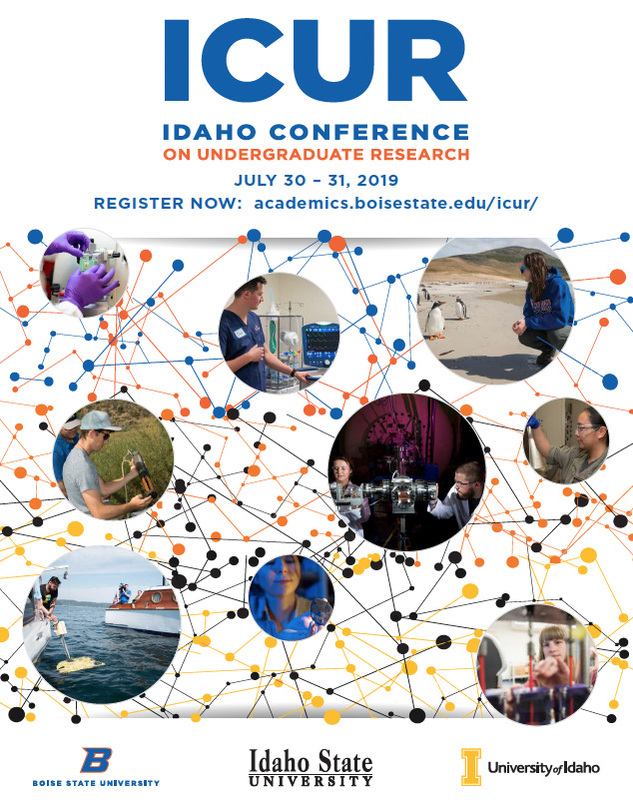 Baxter first participated in NSF EPSCoR in Idaho as a junior faculty member upon joining ISU in 2004. This prestigious award is for the research accomplishments resulting from his productive career, assisted by early involvement in NSF EPSCoR Research Infrastructure Improvement programs. This position requires leadership in collaboratively engaging multiple research-intensive institutions and a diverse array of undergraduate institutions to build connections across disciplines and to energize others to work together. The new NSF EPSCoR research program seeks to understand how genetic diversity and phenotypic plasticity affect species response to environmental change, shaping both population response and adaptive capacity. 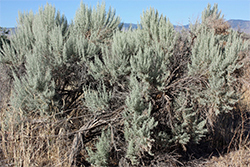 Two focal taxa will be under study: one aquatic (redband trout) and one terrestrial (sagebrush). These taxa are integral to ecosystems in the American West, and are central to land-use management decisions that drive the economy of the region. 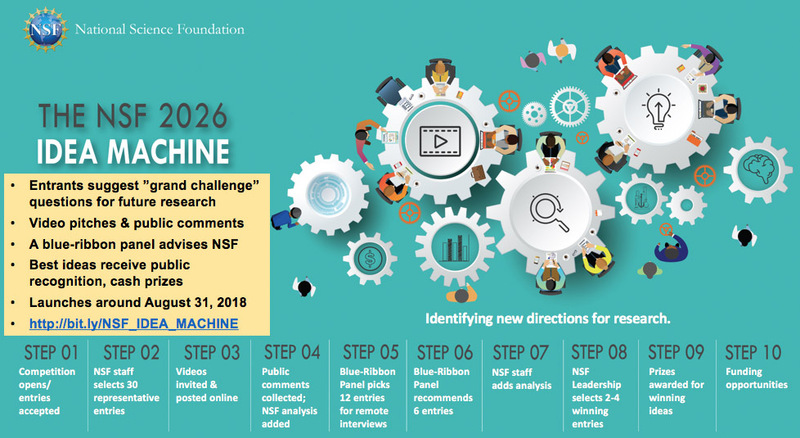 NSF 2026 is one of the Foundation's 10 Big Ideas. It will invest in bold foundational research questions that are large in scope, innovative in character, originate outside any particular NSF directorate, and require a long-term commitment. NSF 2026 will cross boundaries in innovative ways, fill recognized gaps, or take advantage of new opportunities. This Big Idea is framed around the year 2026 in order to tie into the Nation's 250th anniversary. It will ensure continuous exploration at the frontiers and risk-taking in areas that might not fit inside the "box" of any particular NSF program. Entrants suggest "grand challenge" questions for future research, first in narrative form and then a subset via video pitches. The public will have the opportunity to weigh in on entries. A new collaborative research study by MILES researchers at Idaho State University, Boise State University, and University of Idaho, was recently published in "Urban Ecosystems" in June 2018. The article, "A comparative study of urban fragmentation patterns in small and mid-sized cities of Idaho," examines the impact of urbanization on ecological function and its effect on the provisioning of ecosystem services. 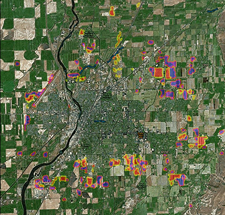 This collaborative study, which could help to inform and balance urban growth within and around Idaho's mid-sized cities, has the potential to minimize fragmentation, increase property values, and create communities that highlight the ecosystem services that are important to the residents.